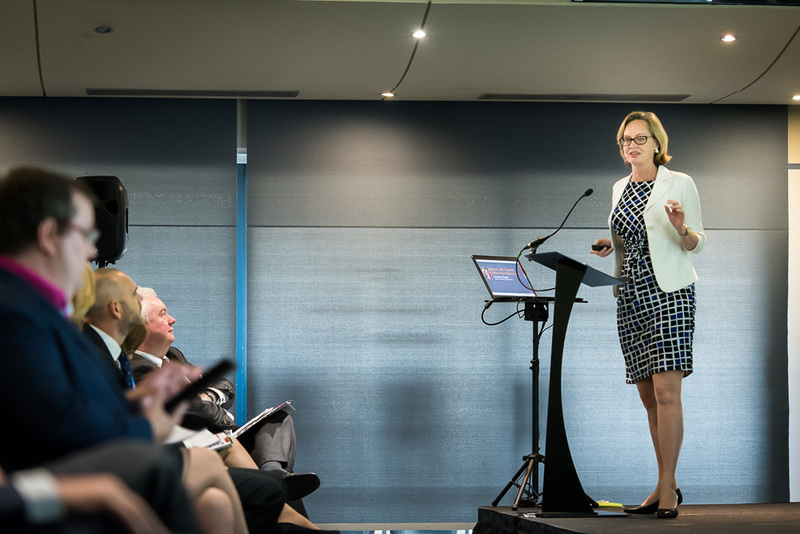 The first guest speaker at yesterday's Derby Property Summit was Courtney Fingar, Editor-in-Chief of fDi Magazine (part of the Financial Times stable). Courtney delivered an informative and powerful presentation on the implication on inward investment in the event of Britain leaving the European Union. Starting off with context on the investment landscape, showing delegates that whilst global greenfield investment had declined for the past three years, UK greenfield investment had continually risen for four consecutive years. Courtney said that the "UK is a magnet for foreign direct investment", second only to the USA in terms of capital expenditure. Conversely, Courtney showed that the main drivers for investors resided predominantly in matters of location, workforce and law - things which would not change much in the event of a Brexit. Whilst Courtney did not suggest how to vote, she did comment that leaving the European Union would risk a lot for a minimal gain. She concluded: "Why gamble when you already have a strong hand?"